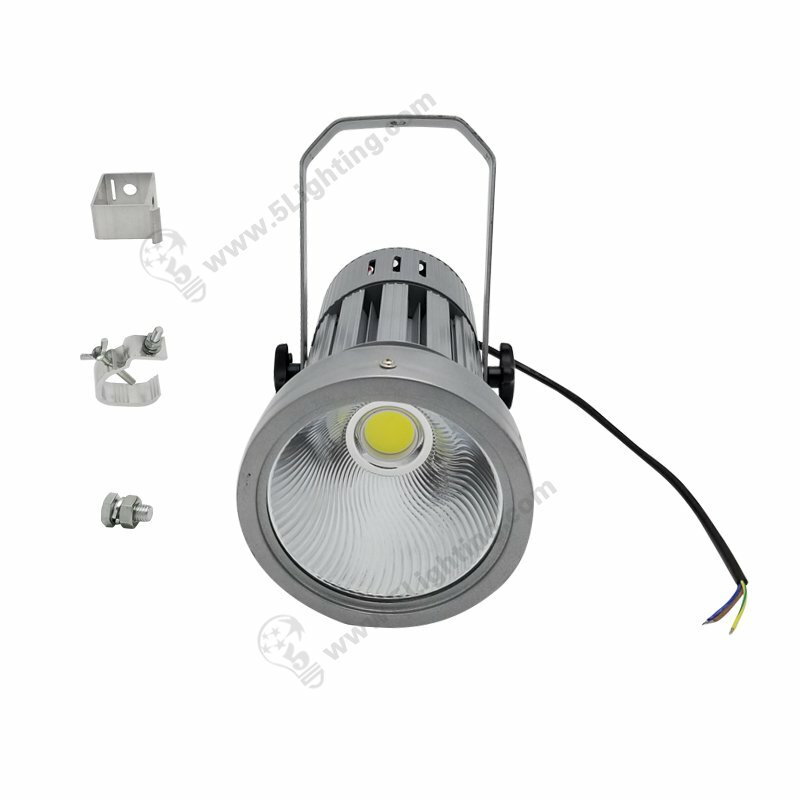 Super bright LED spot lights with barn door , CRI ≥ 90 , 7200 lumens . 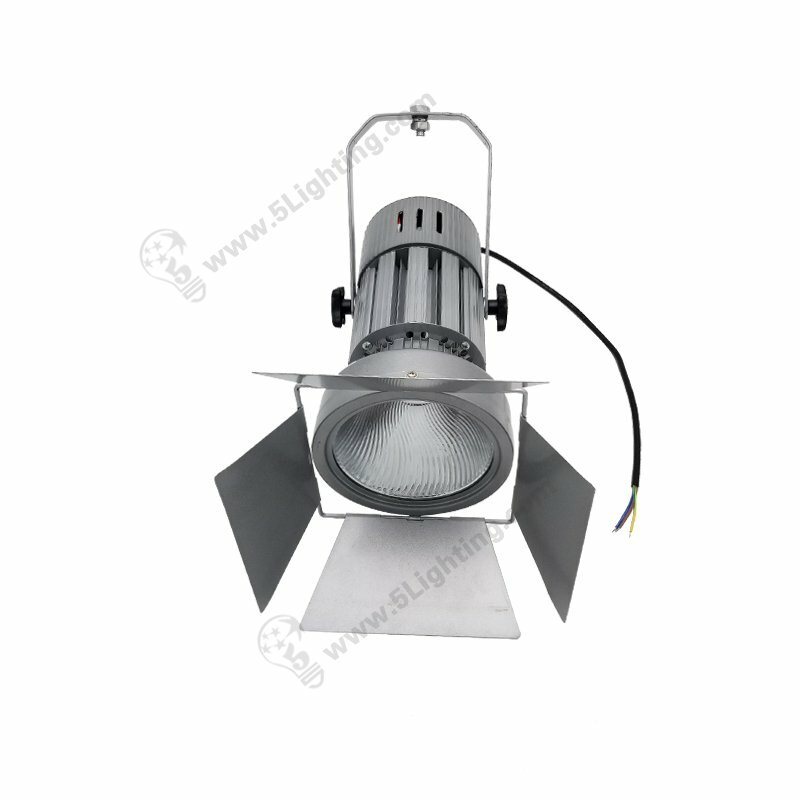 The barn door which installed on top of lamp shape can control beam angle from 120 degree to much more narrow degrees . 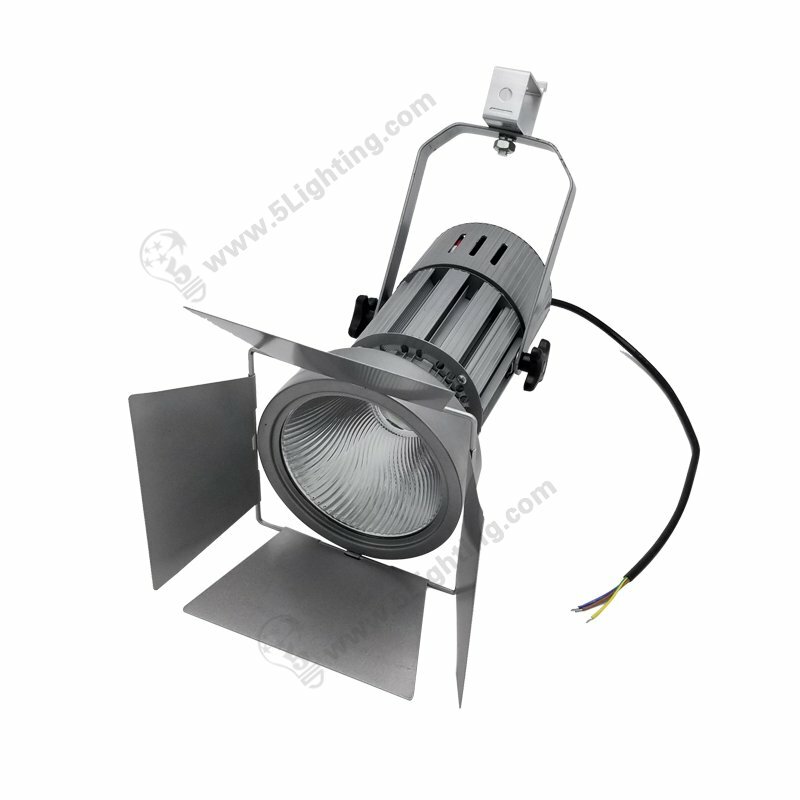 Equipped with super bright COB led bulbs inside which can bring more than 7,000 lumens for products display . 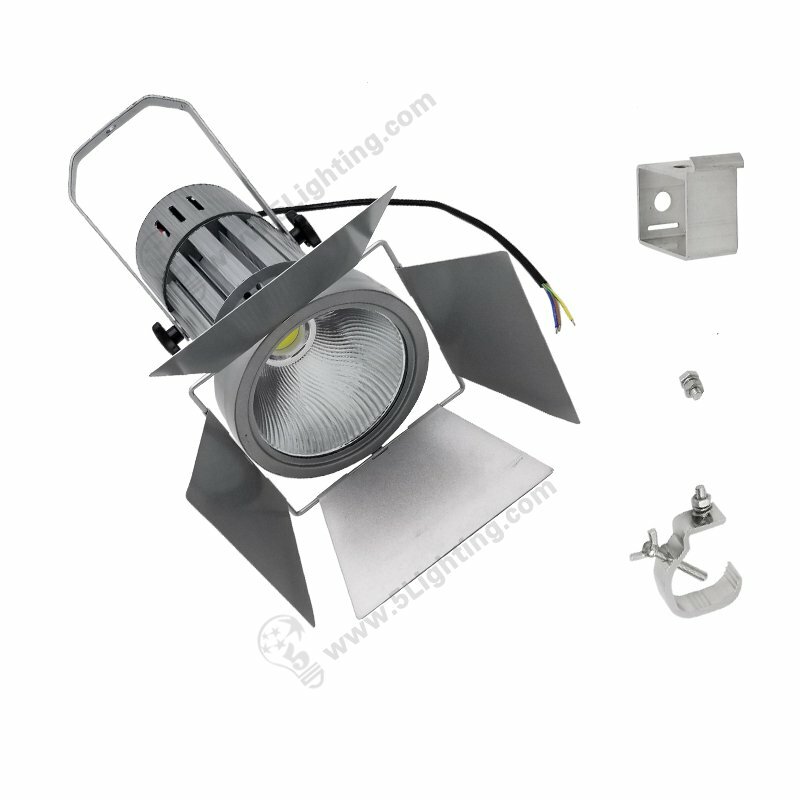 installed on ceiling by our bolt and nut kit . 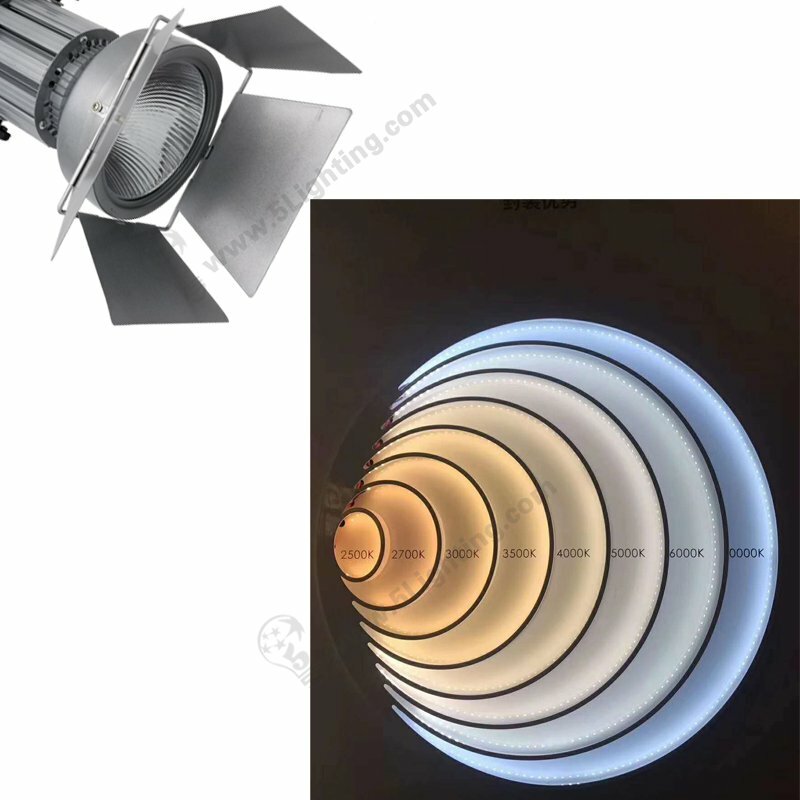 Four leaf barn doors can be tilted up and down according to beam angle requirements . 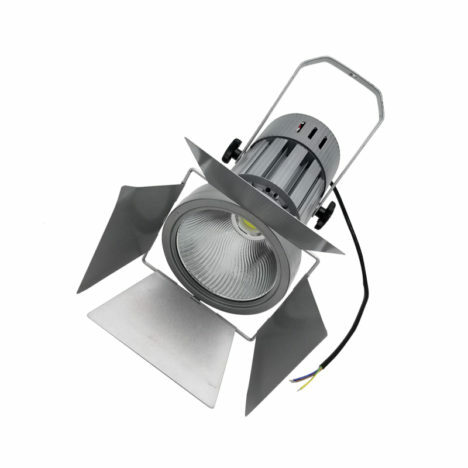 integrated 80 Watts COB led inside , which can be much powerful and bring enough lights for installing height above 3 meters above . We use good heat emitting aluminum sink and large sizes , eliminating cooling fans comparing some models in the market . 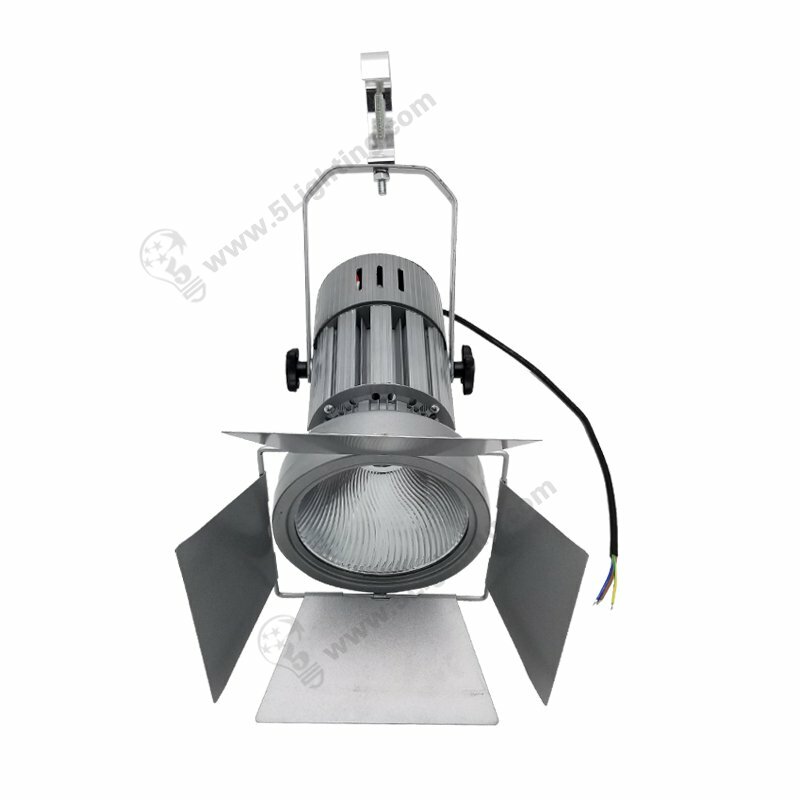 It will bring noiseless and long life span above 30,000 hours . 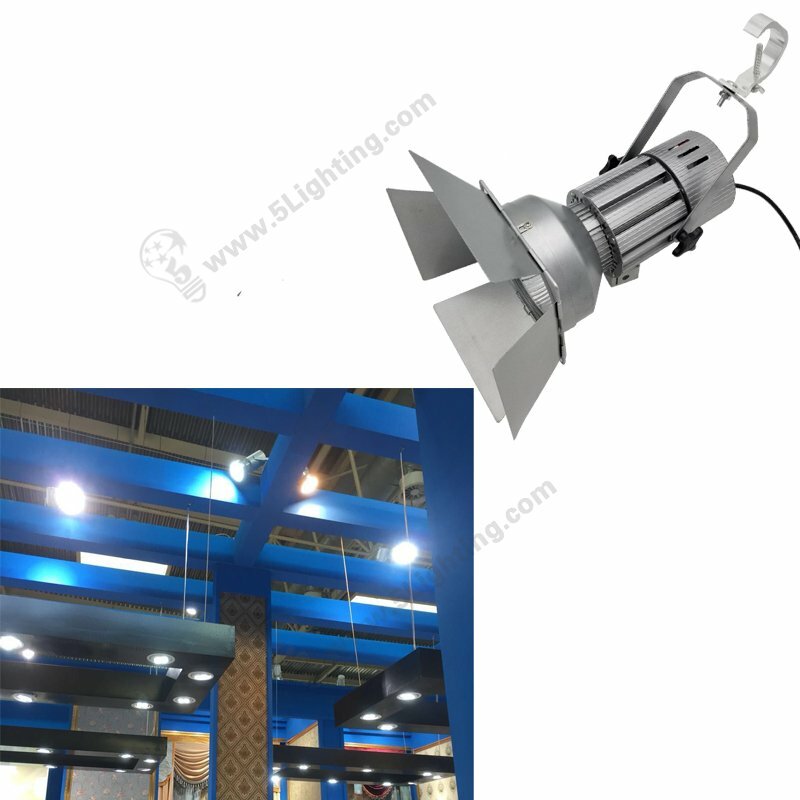 – Application: exhibit stall, wedding stage, event hall, art gallery, show room …. 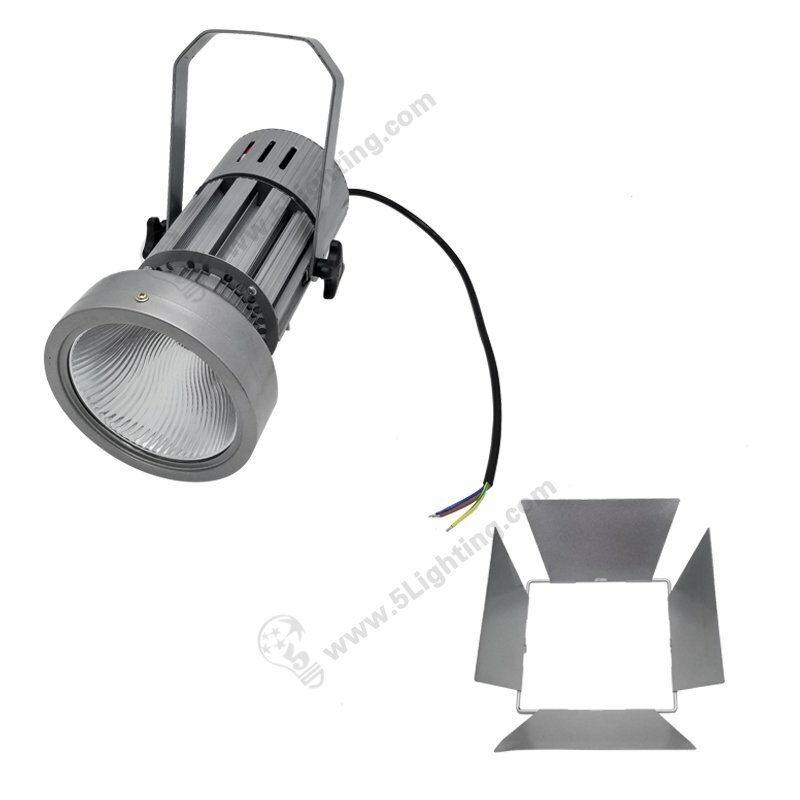 halogen / halide lamps replacements . 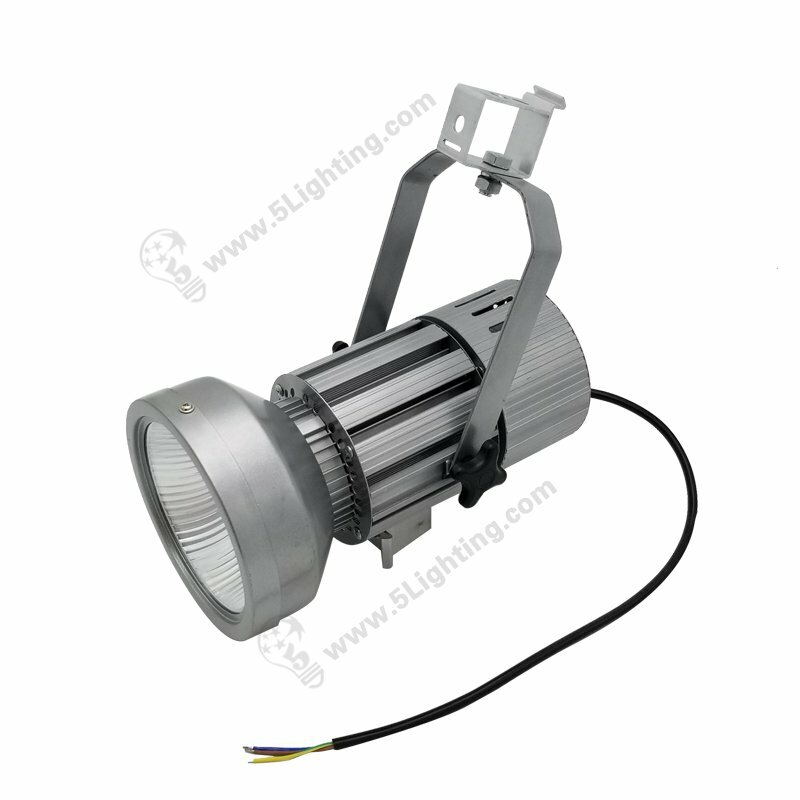 Can 80 Watts barn door led spotlights can be warm white ? 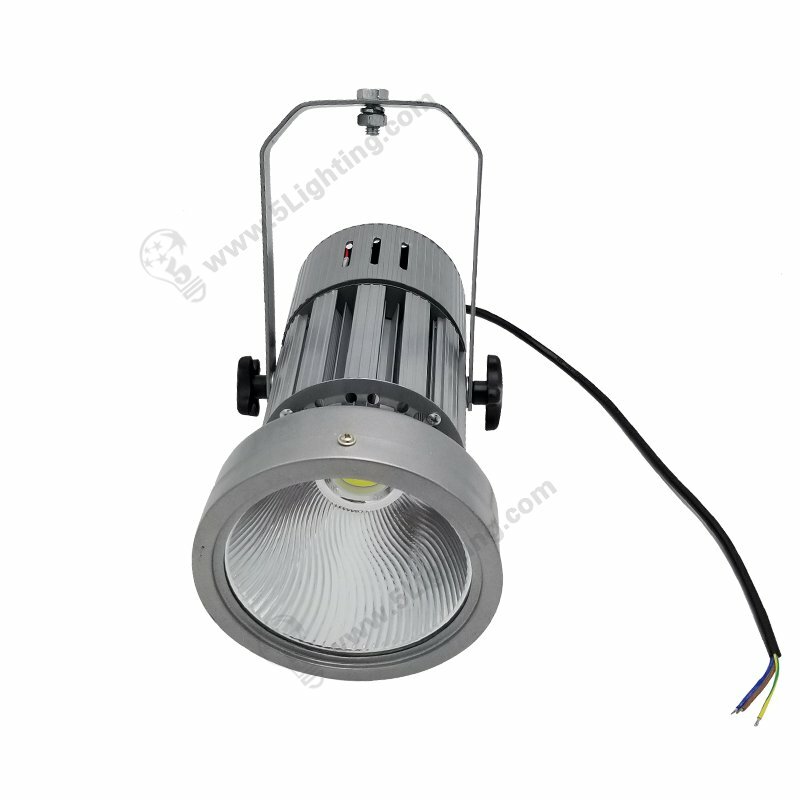 Sure, Our 80W track lights with barn doors have high quality LED chip inside . 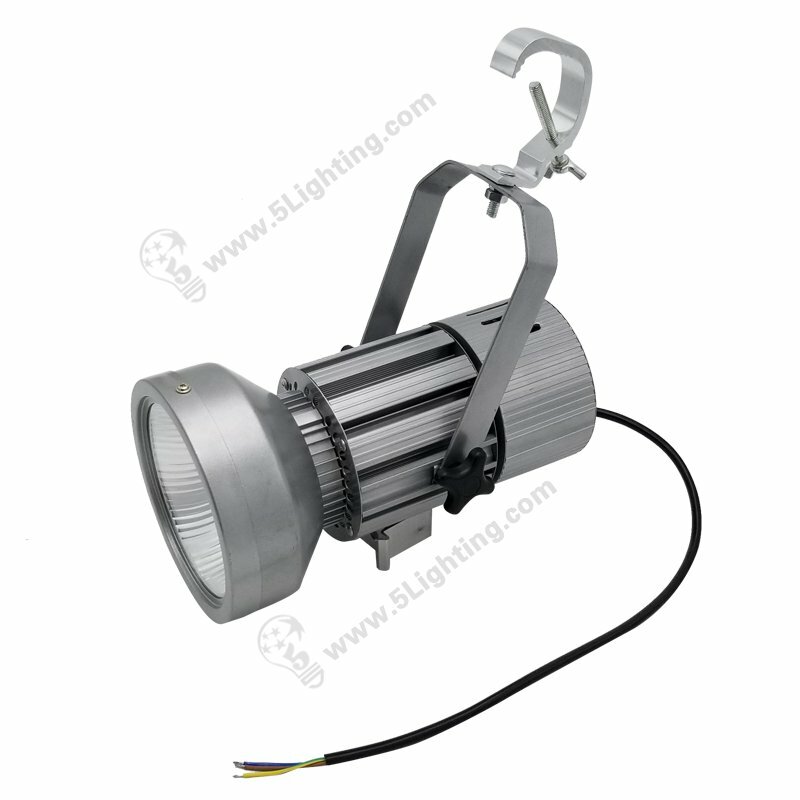 Standard CCT is 6000 – 6500K , we can simulate warm white 2700-3500K or customized other color temperature as required .